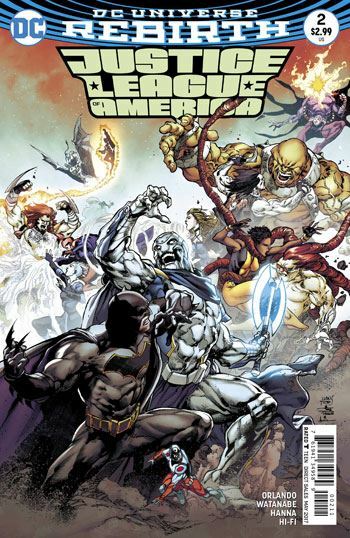 Well, the second issue of Justice League of America isn’t quite as good as the first. But in a way, that was to be expected. It’s certainly not a bad issue, not by any means. The Extremists really get the focus in this part of the story, and Orlando seems to want to add a DC version of Latveria to the universe. 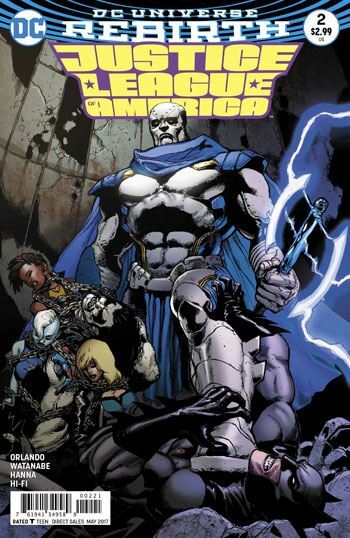 For those who aren’t familiar with the Extremists, they come from a universe that is meant to be the one from Marvel Comics, with their leader, Lord Havok, representing Dr. Doom. In this story, after quelling some rebellion among his own team of nasties, he brings the Extremists to Kravia, and they take control of the small eastern European nation. We get to see a bit more of the new members of the Extremists, but the JLA don’t get much of an opportunity to take action in this issue. Instead, they get their hands tied by issues of international diplomacy. The League is not prepared to let that situation stand, and next issue promises to be a bit more exciting. Thankfully, the issue has some good things going for it. The art is one, as each page looks excellent, and some of the angles Watanabe has chosen are extremely effective. The other thing it has is strong dialogue throughout, and some nice character development, on both sides. Orlando has done a very good job with the members of this new team. Good enough that they are able to take a back seat to the villains in this issue without losing the touches that made me enjoy the Rebirth special and the first issue. So while this may not provide the sheer delight that those two previous chapters did, it remains a solid, well-told issue, which wets the appetite for what it to come.